3 Night safari : Experience the endless plains of the Serengeti with a luxury stay at Sanctuary Kusini, the only permanent tented camp in the southern Serengeti. Fly from Arusha to the Serengeti where you will be met by a Kusini representative and transferred to the camp. Driving time to Sanctuary Kusini is 15 minutes from the airstrip through the Serengeti with game viewing en route. Arrive at camp with time to freshen up before lunch is served. 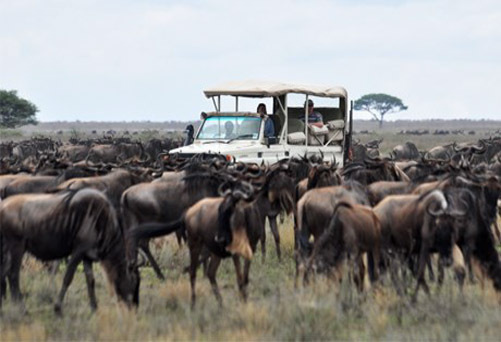 This afternoon discover why the Serengeti is an icon of Africa on an afternoon game drive. The open plains spread out as far as the eye can see so it’s no surprise that the name Serengeti comes from the Maasai language meaning, “endless plains”. The park itself covers 14,763 sq. kilometres, making it one of the world’s largest wildlife sanctuaries and host to one of the world’s largest land migrations. 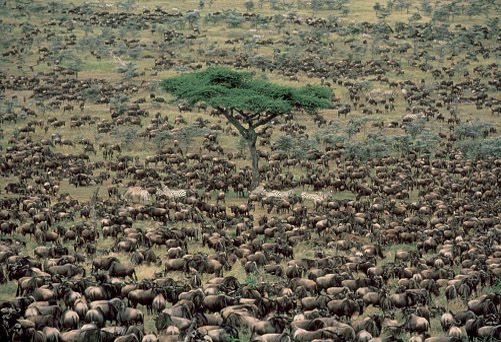 Every year 1.5 million wildebeest migrate from the Serengeti to the Masai Mara followed by hundreds of thousands of zebra, gazelle and other plains game in search of fresh grazing pastures. 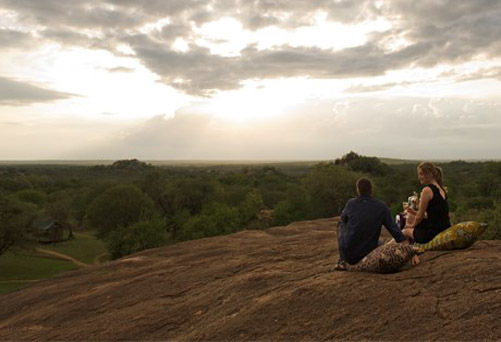 Over the next two days you may choose to either partake in a full day game drive into the heart of the Serengeti with a picnic lunch or remain close to camp with morning and afternoon game drives. Whilst at Sanctuary Kusini you have the chance to contribute to cheetah conservation through the Cheetah Watch Campaign by submitting your sightings of cheetah in Tanzania to the Serengeti Cheetah Project. before dinner. Following dinner this evening retire to the kopie where you may take this rare opportunity to enjoy a star safari as the camp manager unravels the myths of the night sky. Settle in at the dining tent for a deliciously prepared meal before retiring to your tent after an eventful day of game viewing. The day is at leisure to enjoy the activities on offer. 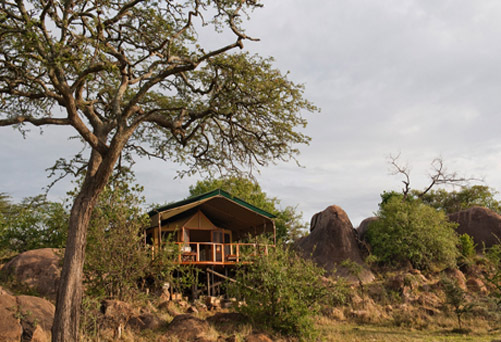 You may choose to either partake in a full day game drive into the heart of the Serengeti with a picnic lunch or remain close to camp with morning and afternoon game drives. Today you may choose to relax at your camp or venture out for one last game drive in the Serengeti before your departure mid-morning. Sanctuary Kusini will return you to the airstrip for your onward flight to Kilimanjaro via Arusha. Upon arrival at Kilimanjaro connect with your onward flight.